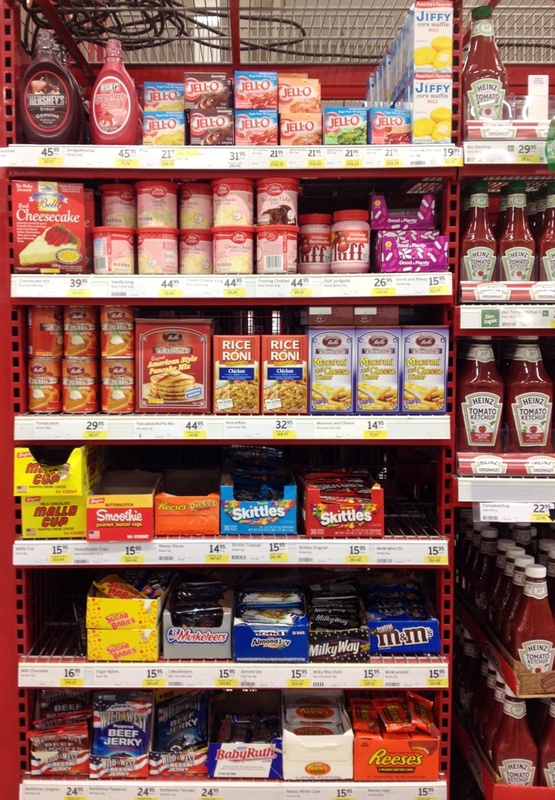 It cracks me up to find the American section at grocery stores here. I'm guessing this selection is based on products that have been requested by expats, but it's funny to see my culture in the context of another. No bake cheesecake, marshmallow fluff, beef jerkey, boxed mac & cheese. 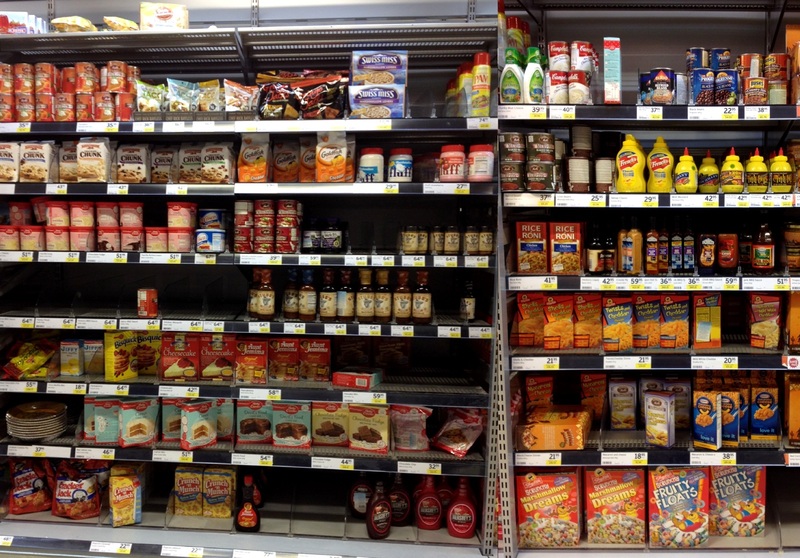 Here's the American section in another store (next to the Thai and Japanese foods in the "international" aisle). 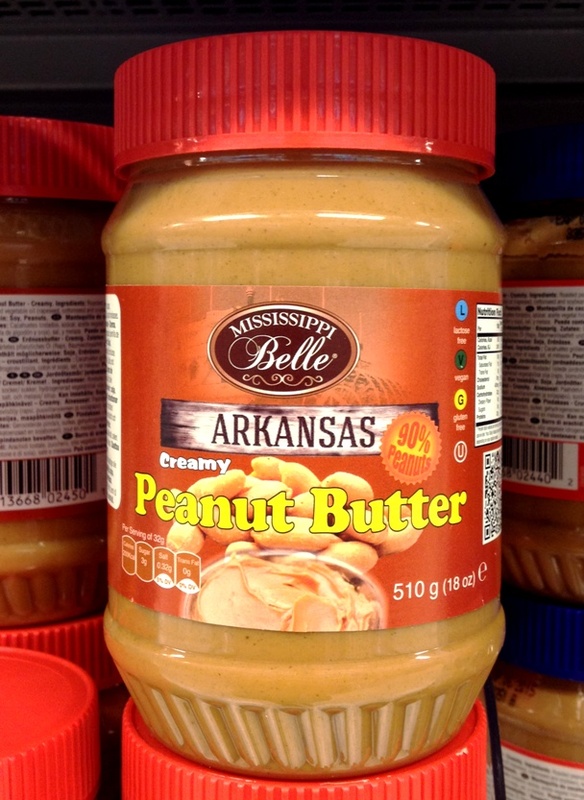 Mississippi Belle brand "Arkansas" peanut butter. Meh, it's all the South. 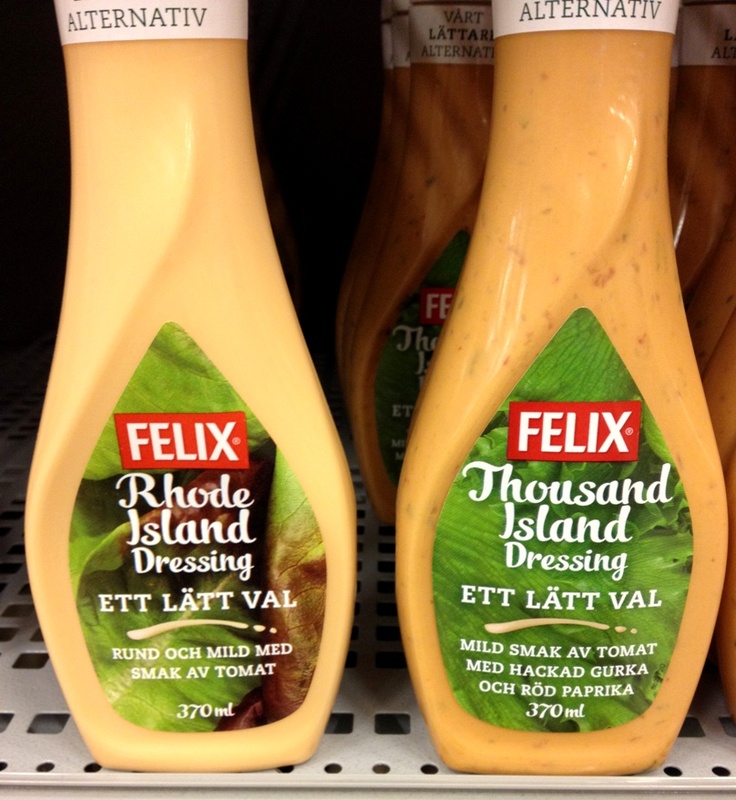 And then there are the head-scratchers on the regular grocery shelves, like Thousand Island salad dressing (not to be confused with Rhode Island dressing). 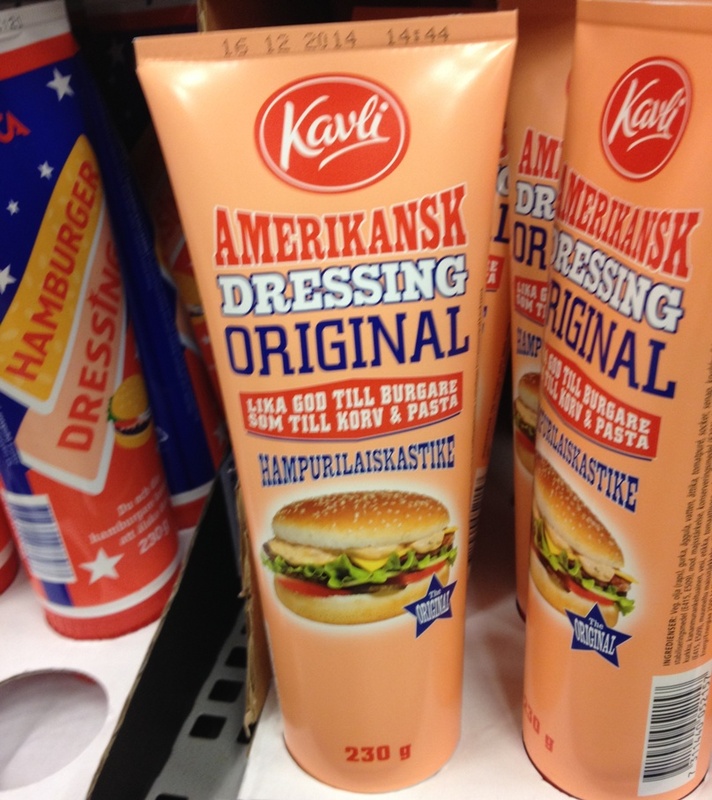 Swedes put something similar on burgers and then market it as American, maybe because of the special sauce on a Big Mac? Ick. And when you do find products that aren't available anywhere else, expect to pay dearly. Chocolate chips $8. Small bottle of Aunt Jemima pancake syrup $12. Canned pumpkin $5. 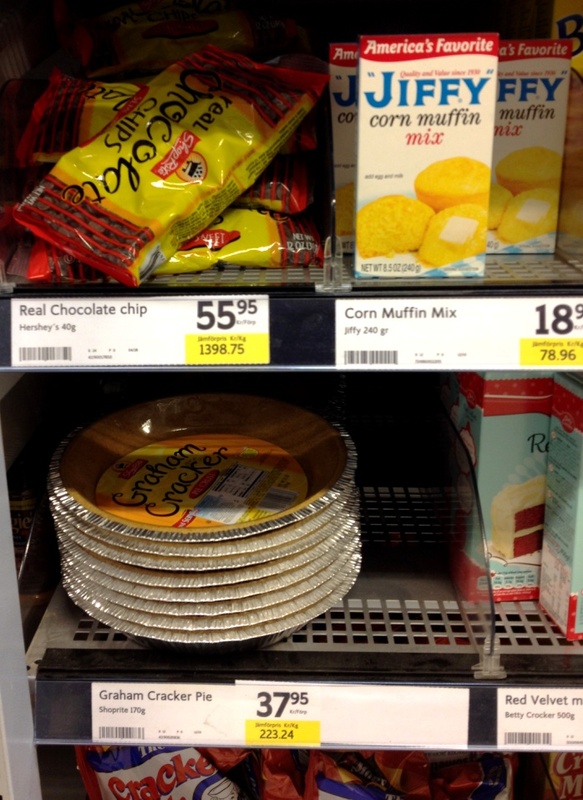 Staying American in Sweden? Priceless.